I set out to read more books this year than I did last year, but it was not to be. In 2014 I was shooting for reading 35 books and I ended up reading 42. In 2015 I aimed for reading 50 books and I managed to read 56 books. Last year I thought I could get to 60, but as the year progressed I got really busy and reset my goal to 50 and managed to read 51 books. This year my number was much lower at 25 books, but it's because I spent a lot of my reading time writing my own book! I'm not sad about that, and I still managed to get quite a bit of reading in. So yeah, hitting 25 books this year all things considered is something I'm happy with. 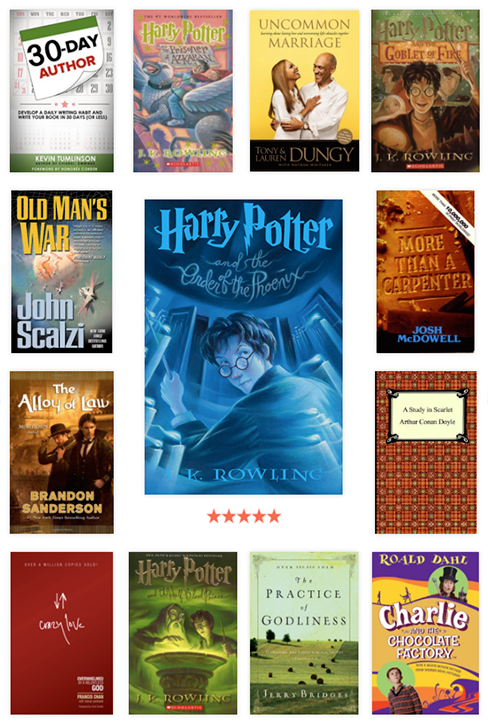 I reread the entire Harry Potter series because my oldest son was. That was fun reading it at the same time as him. 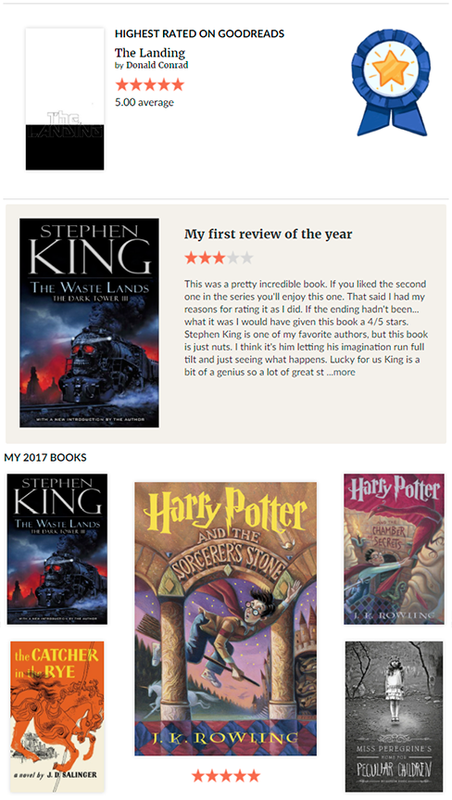 I bought him the first book last Christmas and he finished the series before this Christmas. That's a lot of reading! It was so cool to see his love for reading grow this year. I hope you had a great year of reading! Thanks to the amazing people at Goodreads I have these fun graphics to show off my 2017 reading adventures below. If you're not on Goodreads, why not? It's the best! 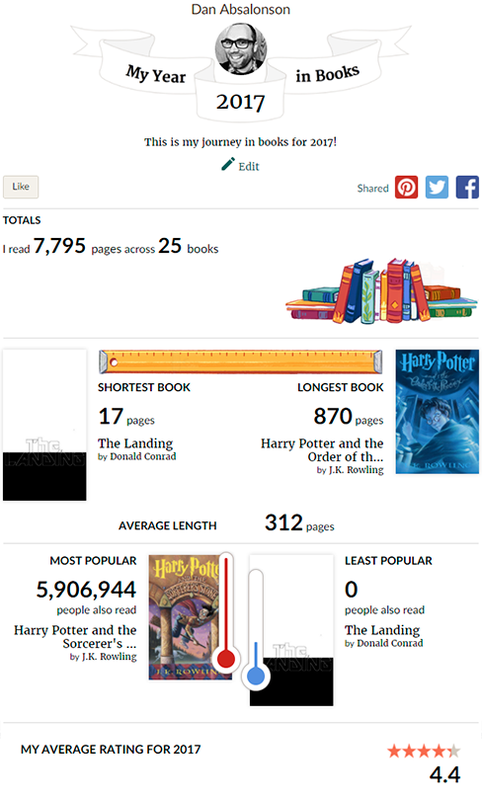 You can track the books you're reading, have read, and want to read. It's my digital bookshelf for keeping track of all my reading and a great place to read reviews and make lists of books you want to read. Thanks for stopping by! I hope you had a Merry Christmas and will have a Happy New Year. Enjoy. "The Case of the Missing Snowman"
"The Case of the Giant Beanstalk"
"A Home in the Stars"
While reading the wonderful classic "Black Beauty" I had the idea to create a meme image for it. I think this is something I'm going to start doing for every book I read. It seems like a fun little project, and I can post them all on a new page here on my website called Book Memes. Should be fun! a humorous image, video, piece of text, etc., that is copied (often with slight variations) and spread rapidly by Internet users. Hey guys! I have something very special for you this week. 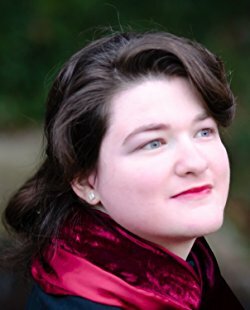 It's an interview with Christina Lewis, an incredible author who wrote something very near and dear to my heart - well written exciting fiction for children. When an author does it well and builds an incredible world full of swashbuckling mice with ships full of root beer barrels and fine cheese as golden treasure! I asked her a whole bunch of questions. I love her answers. As a writer I found them really valuable, but also as a lover of children's fiction is was awesome to get a little peek behind the curtain of an incredible author who does it right when writing for children. Check it out! 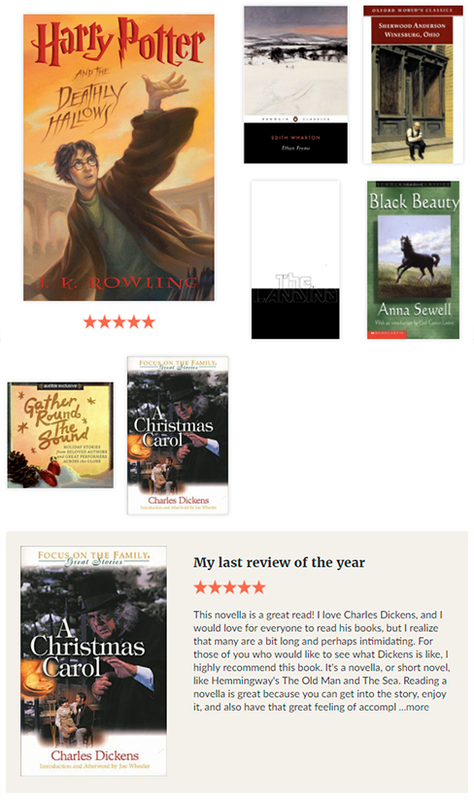 I am definitely going to read Black Beauty (Dover Children's Evergreen Classics) after reading her interview! Q: Christina...what made you become a writer? 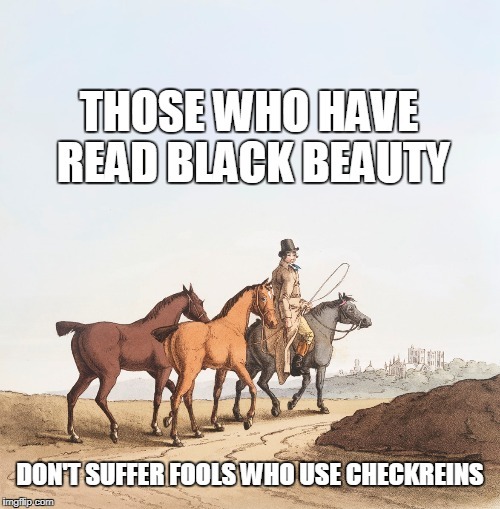 A: Black Beauty did, actually. I've always loved great stories, and once I began reading on my own, I voraciously devoured every book I could lay my hands on. When I was seven years old, I was given a copy of Black Beauty — a story that moved me to tears more than once, and thus became very precious to me. But at first, I thought Black Beauty was the biography of a real horse. I was only seven years old, after all, and the book is written from a first-person — er, first-horse — perspective. After I closed the final page, I discovered the short biography of Anna Sewell, the author of Black Beauty. That was the day I realized that people wrote stories — people just like me. Very shortly afterwards, I wrote my first short story, entitled Rosie the Deer. And then there was no stopping me. I took stacks of paper that had been printed on one side and discarded, and I wrote on the backs of them by hand — usually in pencil or pen — for hours and hours. Primarily I wrote about wild horses and stray cats, or about children who got lost in the woods and encountered something special such as a lost treasure. I never ran out of fresh ideas, a trend which has continued to this day. 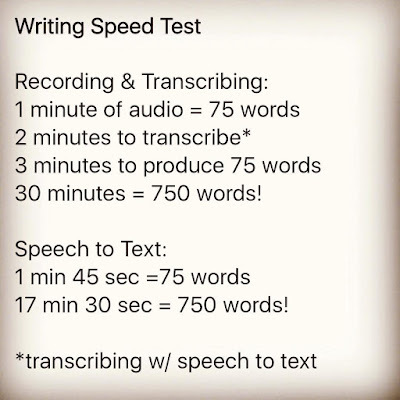 Q: What is your typical writing day like? A: I used to stay up late and write while everyone else was sleeping, often until 4 or 5am. But I was physically wiped out the next day, dragging through the morning and afternoon hours until nightfall, when I could write again. Eventually I discovered that it was a far better and healthier routine if I woke up early, while the world was still quiet, and started my writing days then. Depending on the story I'm currently working on, I keep a stack of relevant books on my desk. For The Cheese Pirates: Cheddar Island, I had one of my all-time favorites within easy reach: The Indian in the Cupboard by Lynne Reid Banks (not knowing that she would later endorse my book). There were a few other books close at hand as well, and I usually read for at least half an hour before I begin to write, because I strongly believe that you must have your inner creative well filled up in order to effectively create. I'm very, very careful to protect my subconscious. Your mind is more fragile than you realize. Try this experiment: pick a book, any book. Read the first chapter. Usually you will see the characters, whether animal or human, as real living creatures. Then put the book down and spend 15-20 minutes watching a cartoon, such as Looney Tunes, or something animated, such as a Pixar movie. Then pick up the same book and read the second chapter. How do you see the characters in your mind's eye now? How do they move and act differently, as opposed to they moved and acted before you watched the animation? No matter how hard you try, those characters in your head will remain animated until you watch something that looks real (such as a movie trailer) for at least 5-6 minutes. Similarly, immersing in slapstick comedy when you're trying to write a very serious sequence of events is a terrible idea. Q: Do you outline? If so, how extensive are your outlines? A: I do outline, very extensively. At first, I start with a rudimentary outline, where I scribble down the beginning and the end of the story. Then I fill in the stepping stones throughout the middle. 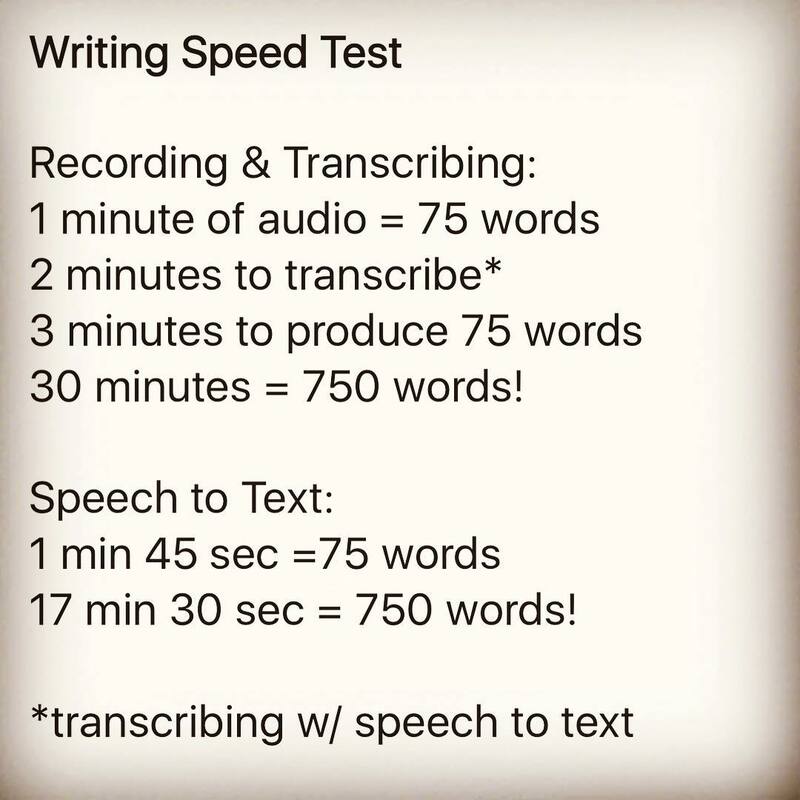 Before I write, I will have written at least three separate outlines — each more detailed than the last. Occasionally my stories stray from those outlines as the characters drive the plot in unforeseen directions (as willful characters are wont to do), but when the main course is thoroughly mapped out, you won't find yourself hopelessly lost in the deep dark writing woods. Q: It sounds like you did a lot of research for The Cheese Pirates: Cheddar Island. How did you go about doing that and for how long? A: Whew. I did two solid years of research for Cheddar Island, beginning with pirates — fictional pirates, historical pirates, and legendary pirates from books, movies, and old tales — and moving through the history and geography of my chosen location, which was Tillamook Bay, Oregon. I looked at piratical influence on governments (and governmental influence on piracy and privateers) and throughout various wars. I also studied common nautical terms and the anatomy of various ships. For the pirate research, I watched a lot of classic movies and cleared the bookshelves of my local library. Along the way, I discovered quite a bit about film lore and old Hollywood, since Errol Flynn became an overnight success for his pirate role in the thrilling 1935 movie, Captain Blood (which was extremely good, especially considering the time period, and I highly recommend it). I read every pirate book I could get my hands on, then found recommendations online for other good pirate books, and I read those as well. During the course of my research, I discovered that typical pirate lingo is an amalgam of accents and slang from countries all over the world, since pirates were generally multicultural outcasts who banded together in search of treasure — either because they were mercenaries or because they were labeled as criminals, justly or unjustly, and forced into a life of piracy to survive. As for Tillamook Bay, Oregon: I was born and raised in Oregon — first in Southern Oregon, then in Portland, then back again. Several of my earliest family vacations were on the Oregon Coast, so I had a great fondness and familiarity with my literary setting. But there was so much history that I didn't know about Tillamook Bay, specifically, until I began researching the place as a home for my seamice. There are not many available books about Tillamook Bay, so most of my research was done online or by pestering the very friendly and patient ladies at the Tillamook Bay visitor's center. I owe a great deal to them for all of their help. They were my "boots on the ground," so to speak, and they offered a ton of priceless information and directed me to other important sources to help me fill in critical details about local weather, geography, historical events, and even plant and animal life in the area. Q: How many revisions will you typically do on a novel? A: Cheddar Island went through more revisions than usual. I typically run through at least three or four revisions before I'm confident that my work is polished enough for publication. Cheddar Island was revised seven times, with one of its final revisions including a brand-new Chapter 17, which was inspired by a thought-provoking comment from Lynne Reid Banks. Chapter 17 exists because of her, and it definitely took the whole story to the next level. Q: What is your best tip for editing a manuscript? A: Patience! Early on in my writing career, I received a piece of advice about editing that I follow religiously to this day: put your finished first draft away and start working on the next one. By the time your second manuscript is completed, you can go back to the first project and view it through fresh eyes. I stepped away from Cheddar Island to work on other projects and allow a lapse of time between each and every one of its seven revisions, and that period of time away gave me fresh perspective on the story and its narrative flow. Q: Which writing habits and/or tricks of the trade have made you a better writer? A: I never cease to acquire new tricks. Michael Jordan, the legendary NBA basketball player who racked up six national championships, said that he learned something new about basketball every single time he stepped onto the court. He also said that if he ever stopped learning, he would retire from the game of basketball. That comment resonated with me, as a writer, and I feel like my own literary journey is also a continual voyage of discovery. Every single day, I learn something new. Sometimes more than one thing! One of my best habits is to read my story out loud — to a willing victim, to a devoted pet, or alone in an empty room. When you read through your own narrative aloud, you will catch flaws and "word snarls" that could stand correction, which will smooth out the flow of your whole story. Also, I love to mimic voices for my different characters. Each character has his or her own personality, and their unique quirks dictate their phraseology and vocabulary tendencies. Before I am finished with a book, I will have spent a ton of time looking through each separate character's eyes at the whole story, which ensures that each of them are seeing and feeling through their own specific "lenses" and reacting accordingly. Heroes, sidekicks, villains, and minions will each see the exact same story from totally different perspectives. Aside from the boost in quality to your book, taking the time to understand each character is a fascinating experience on a very personal level. Q: In your most recently published novel, what’s one scene you really enjoyed writing—and why? A: As of today, Cheddar Island IS my most recently published novel. In Chapter 7, my hero — Captain Pepper Jack — swaggers through the double doors of the Shark's Mouth Inn, an old seaside tavern packed with rough and jolly seamice. A grasshopper is fiddling merry tunes in the background while a barmouse serves mugs of root beer and plates of cheese curls to his patrons. The atmosphere is so classic that you can almost smell the old wood and ancient root beer flavored with a hint of cheese. A wizened seamouse, Old Salt Gouda, delivers a dire warning about the fabled dangers on the high seas, and a pair of burly seamice twins — the Tough Brothers, former shipmates of Pepper Jack's — provoke Jack and his best friend into a hilarious and destructive fistfight. There were several moments in that exchange when I actually snorted with laughter over their antics. Anytime I write something that makes me laugh or cry, I love it. Q: What is your current writing project? What's it called? A: Currently I am working on the sequel to Cheddar Island, entitled The Cheese Pirates: A Thousand Islands. The third Cheese Pirates book is already fully outlined and ready to write! There will be a sister series to Cheese Pirates, which will delve into a chivalrous, medieval-style history of Tillamook Bay in the age of kings and PiRats, knights and mermice. Other projects that I am looking forward to releasing include a story called Dance of the Wild Horses, which is about a ranch horse who is forced to choose between his cowboy masters and his mustang cousins, and a medieval-style fantasy series set in an original world that I have been building for over a decade. Some of the books in that series will cross over into our world, since I love urban fantasy. Meanwhile, I am editing and proofreading manuscripts for other clients in numerous fiction and non-fiction genres. As a legal editor, I edit and proofread forensic reports for expert witnesses in such fields as construction, real estate, workplace safety, and insurance. My website is https://legaleditor1.wixsite.com/legaledit. I am also an award-winning jewelry designer, and I create one-of-a-kind gemstone jewelry to sell online at great prices (http://Facebook.com/StarsandEmbers). This helps to pay the bills. Q: What is your best piece of advice for budding authors? A: Don't give up! Never, ever give up. Take ALL criticism (including vicious criticism) to heart and use it to your advantage. At age 19, I read The Lord of the Rings. That book changed everything for me, as a writer. To this day, I consider Tolkien to be a literary grandmaster. During my subsequent research of the writer and his works, I was startled to discover the outrageous amount of criticism and adversity that he faced — some of it from his own family, including his wife! Some folks thought that Tolkien was more than a little nuts for inventing fictional languages and speaking conversationally as if his characters and their histories were real. When I read about that, I told myself: if people have a right to criticize Tolkien, then they absolutely have the right to criticize my work. I will add this caveat: not all criticism is useful. When your emotions are tangled up in a creative work, it can be very difficult to separate good critiques from suggestions that would irreparably damage the very heart of your manuscript. Cheddar Island has received plenty of both. I have carefully considered ALL of the opinions that folks have been gracious enough to offer, even experimenting with the idea of what my manuscript would look like with certain key elements added or removed. How would it change the course of my story? How would my characters be altered? In the end, I disregarded a handful of critiques, but I implemented several others. The comment that Lynne Reid Banks made stumped me, at first. It was a devastating remark (in large part because I knew that she was right). I left my Seattle apartment and went for a walk in the misty gray rain, as I often did when wrestling with impossible concepts that I couldn't solve, and suddenly — like a lightning strike — the way became clear. My research came in handy that day! I drew inspiration from the classic novel, Captains Courageous, and the legend of historical pirate Black Sam Bellamy, and I mixed it together with a healthy dose of originality. Chapter 17 was the result, and I loved the way that the chapter rounded out one of my key characters. It gave him a strong backstory that he had been missing up to that point. The ripple effects of that change will continue into the Cheese Pirates sequels. There is no way to express how grateful I am to Ms. Banks for that particular piece of criticism. Christina Lewis is an author, legal editor, proofreader, freelance journalist, and literary consultant. When she isn't writing or correcting the world's grammar errors, she designs award-winning jewelry under the name Stars and Embers, creates unique pieces of art, and trains cats. Originally from the Pacific Northwest, Christina now resides in the Smoky Mountains of Tennessee. Her first book, The Cheese Pirates: Cheddar Island, was endorsed by Lynne Reid Banks, legendary author of The Indian in the Cupboard. Due to the popularity of Cheddar Island, Christina is madly working on two sequels in the Cheese Pirates series. She hopes to finish the second book, A Thousand Islands, before the mob of voracious readers catches up with her.